Property value must be less than $1,000,000. Exceptions may be considered for LTV ≤ 80%. Government grants may be considered. If the down payment is a gift, we require an acceptable guarantor. A guarantor is also needed if there are significant variations from the qualification guidelines. 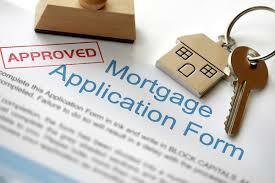 Obtaining a mortgage for the first time can be a little overwhelming. Let me know if you need a good mortgage broker. I have worked with some of the best in the industry, who would be more then willing to walk you through the process.